#38. Kanye West "My Way"
Prior to Kanye shocking the world with The College Dropout, he was still trying to prove to the industry that he was viable as a rapper. In late '02 and early '03, Kanye began releasing a slew of mixtapes featuring not only tracks he'd produced for other artists, but also the solo material he'd been perfecting for years. 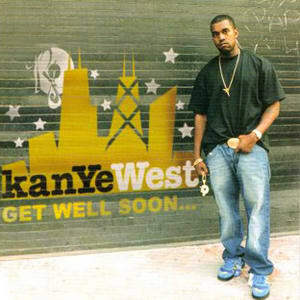 Perhaps the best of these mixtapes was Get Well Soon, which featured early versions of "Through the Wire," "Jesus Walks," and perhaps the best of his early work, "My Way." "My Way" featured Yeezy's signature chipmunk soul sample, and darts aimed at the inhabitants of the City of Hella Haters. At the time, he was almost on: "Y'all just talk about my dough/How I left Chicago/How I'm the only one eatin'/Shut ya pie hole."